If you're thinking about buying or selling a business, contact THE HOLLIMAN GROUP. We can also help if you'd like to gift an interest in your business to your children or grandchildren in order to reduce the inheritance tax. THE HOLLIMAN GROUP is one of only four firms in the greater Mobile, Alabama, area that has been accredited by the AICPA to provide a complete business appraisal. Our capable associates will ensure that all of your payroll and accounting processes are operating correctly and in compliance with local, state, and federal requirements. 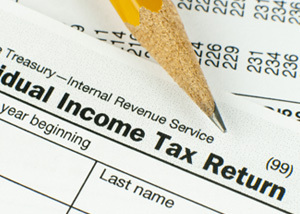 We also provide comprehensive individual tax preparation services for you and for your employees. Please contact THE HOLLIMAN GROUP for a free, no-obligation consultation. If you're looking for certified business valuation and business appraisal services, contact THE HOLLIMAN GROUP in Mobile, Alabama. 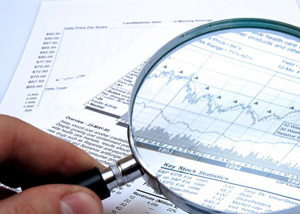 We work with attorneys and litigation support, and we are also certified in financial forensics. If you're wondering exactly what your business is worth, we can help. THE HOLLIMAN GROUP is a professional services firm providing management, measurement, and compliance services to businesses and individuals since 1985. We partner with our clients and work with you to determine your needs and goals. Our friendly staff offers business and individual accounting, as well as consulting services. Whether you are starting a business or making moves to grow your company, we can provide the timely advice and guidance you need. We offer services including but not limited to business valuation, forensic accounting, litigation support services, business and income tax preparation, business management services, financial analysis, and physician office management. Let us help you review your business plan for this year and the next five years to help in planning for the resources that you will need relative to personnel, IT systems, and facilities. Our mission is to help clients maintain financial viability in the present, while taking a proactive approach to achieve future goals. This requires open communication to reach an understanding of our clients' needs through research and sound analysis. THE HOLLIMAN GROUP is dedicated to meeting these goals with high standards of excellence and professionalism. We have been a staple of Mobile's business community for years, and pride ourselves on the level of esteem we have earned. Our dedication to hard work has earned us the respect of the business and financial community in and around Mobile. We believe this to be a direct derivative of our talent and responsiveness to our client base. Whether you are a current or prospective client, rest assured that individuals and businesses who choose THE HOLLIMAN GROUP receive competent and timely advice.